The BEAUTE body products are the best possible strategy for maintaining and improving the results obtained with your beauty consultant’s professional treatments. Endowed with the same concentration of active principles as the professional products, they are created with the best natural extracts. Their Yin or Yang energy identity makes them actively thermo or cryo and boosts their effectiveness. The silhouette regains all its previous lightness, tone and youthfulness. The skin is an actual organ: it comprises more than 2,000 billion cells controlled by 5 specific functions that interact in a constant, balanced manner. Pollution, stressful lifestyles, eating disorders, lack of physical activity and physiological ageing are the main causes of imbalance in the skin’s functions. SALIN de BIOSEL products for the face have been created to provide deep, effective functional re-education and reactivation and supply a healthy, visible and long-lasting solution to each of the 5 functions. The skin regains its vital energy, an inexhaustible source of beauty. Beauté à la Carte cosmetic recipe. The beauty product with your finger-print. Are you special? Yes, you are. And so is your skin. It’s part of a unique genetic heritage. And did you know your skin talks? Your skin tells us all about you, your age, lifestyle, stress level. 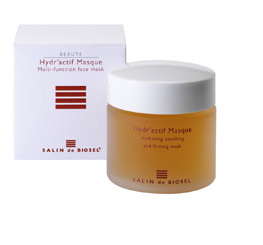 And so, just like skin reveals and modifies its state continually, we at SALIN de BIOSEL, through our exclusive Beauté à la Carte Laboratory, intervene on products and treatments customising them even further to meet your needs. In this way, we create a revolutionary, Beauté à la Carte product, really different and resolutive, taking your skin features into account and getting the maximum from your skin. Results? Visible from the very first application, the skin of your face and body will respond to the active principle stimuli starting to work with them. Wellbeing is an indispensible condition for a good psycho-physical balance for every human being. It is not always easy to free the mind of the stresses of the frenzied lives we are all subjected to. The BIEN ETRE line has been designed especially to rediscover serenity of the spirit by re-establishing contact with the wonderful world of nature, stimulate the fantasy of the spirit with legends of far-off lands, let the imagination run free on the notes of enchanted melodies and be carried away by the scent of vegetation. Practice your favourite sport as a prerogative for the wellbeing of your body and a way to constantly improve your physical performance or to simply revitalise your body by caring for it with a rich application of essential plant extracts and thermal mud baths: this is the objective proposed to you by our SPA Performance line. It consists of energetic oils to be used for massage and hydrotherapy, Dead Sea salts, lotion, shower gel, scrub and balm. [desc] => The BEAUTE body products are the best possible strategy for maintaining and improving the results obtained with your beauty consultant’s professional treatments. Endowed with the same concentration of active principles as the professional products, they are created with the best natural extracts. Their Yin or Yang energy identity makes them actively thermo or cryo and boosts their effectiveness. [post_content] => Creme enthält Koffein, Zimt und Ginseng, regeneriert das Fettgewebe, reduziert Cellulite, glättet Dellen und PKörperlsterchen. Die Energie der vielen natürlichen Inhaltsstoffe wirkt besonders intensiv tagsüber während der Yang-Phase (des Tages). [desc] => The skin is an actual organ: it comprises more than 2,000 billion cells controlled by 5 specific functions that interact in a constant, balanced manner. [post_content] => Its natural formula, which is made with rice oil, is specially recommended for daily and repeated cleansing of all skin types that are exposed to environmental pollutants and suffer from hypersensitivity. It eliminates impurities and removes makeup, resulting in a smoother, fresher and more radiant skin. [post_excerpt] => Rice milk for removing make up and perfectly cleansing the skin. [post_content] => Thanks to its natural formula, which does not contain propylene glycol or parabens (a skin sensitising solvent and preservative that is highly allergenic), this is the ideal toner to smoothen and restore balance to all skin types, specially sensitive and delicate ones. A protected skin will reawaken all your senses. Once it is moisturised, the skin regains its radiance and splendour and makeup applications will last all day long. [post_excerpt] => Alcohol-free toner with Cucumber flower extract. From the first application, hypersensitivity is diminished, skin appears nourished, vital and stronger, regains its natural softness and looks smooth, firm and compact. The face appears rejuvenated. [post_excerpt] => Rice milk and Honey cream, fortifies the skin’s defences. [post_content] => This scrub is characterised by its mild abrasiveness and its quick rejuvenating action on skin cells, resulting in a radiant and toned look. After the first application, the skin will regain its radiance and freshness. A purified and moisturised skin will be noticeably more toned and facial contours will be redefined and rejuvenated. [post_excerpt] => Delicate gel scrub with aloe. [post_content] => Enhances dynamism of Yin/Yang energy circulation and intensely activates the effects of Source serums. 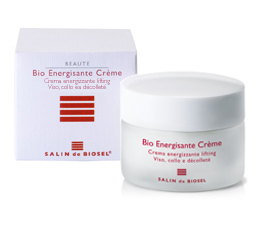 Bio Energisante Crème offers your skin an immediate feeling of energetic freshness. Soon after the first applications, an energised skin will become more radiant, signs of fatigue will disappear and facial lines will become smoother; a more compact skin will noticeably regain a rejuvenated and more beautiful look. [post_excerpt] => dynamism-enhancing and revitalizing cream with Ginseng. 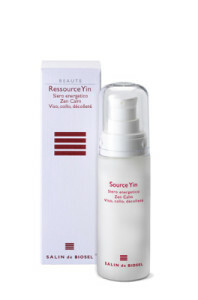 [post_content] => Yin energy serum, diminishes redness and excess skin heat to restore an even colour and a splendidly healthy look. Promotes drainage of localized water retention around the eyes and the face in general. It calms irritations and reduces hyper-sensitivity. Repairs micro-blemishes, moisturizes, nourishes and tones the skin to restore beauty and serenity to the face. The skin regains an immediate feeling of balance, well-being, smoothness and an even colour; the features are relaxed and the natural vital energy and serenity of the face restored. [post_excerpt] => Yin energy serum with Lemon Flowers and White Waterlily root. [post_content] => Activates Yang energy circulation and forties the skin’s natural defences. It lightens dark sports and restores even radiance to face, neck and décolleté. Particularly indicated for smokers’ dull, flawed skin and for generally tired, lifeless skin. It moisturizes and nourishes to restore a naturally rejuvenated look to the face. The skin regains even and immediate radiance, and dark spots and skin  blemishes are reduced in intensity. The face appears perfectly nourished, moisturized with restored natural freshness and vitality. [post_excerpt] => Revitalizing Yang energy serum with Cinnamon and Liquorice. [post_content] => It restores balance to excessive Yang energy and helps the skin to regain a uniform radiance. It diminishes hypersensitivity due to widespread redness. It also protects the skin and reinforces its natural defences. Stress and hypersensitivity will diminish. Facial, neck and bosom redness will fade away. Discomfort will be replaced by a pleasant sensation and the skin will become smoother and velvety. It will also regain a uniform colour and makeup applications will last longer. A more radiant skin will look rejuvenated and splendid. [post_content] => Moisturising, lightening, anti-oxidizing cream, protects against the damaging effects of the sun, fades pigmentation marks and gives an even glow. Suitable for all skin types subject to the stressful rhythms of everyday life, constantly exposed to the sun’s rays or damaged by temperature changes and the drying effects of air conditioning and central heating. Calms irritation, the moisturised skin becomes smooth and soft, pigmentation marks gradually fade, the complexion acquires an even glow, the face and neck appear radiant and the skin is more compact and younger looking. [post_excerpt] => multivitamin moisturizing, lightening cream. [post_content] => Rebalances, regenerates and stimulates Yin and Yang energy circulation of skin tissues. It limits redness and heat due to energy excesses (couperose, sunburn, widespread redness on neck and décolleté skin, capillaries on the legs) and relieves the sensation of tightness. Improves Yin energy circulation, promotes liquid drainage and hydration of the skin’s surface layers. Face, neck and décolleté: as redness diminishes, the skin regains an even colour and splendid radiance. The visibly rejuvenated face regains serenity. 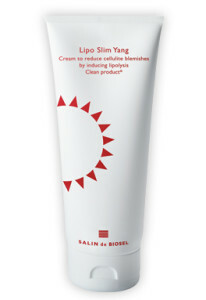 Body: diminishes redness and soothes sensitive skin. [post_content] => Iceland moss-based serum for sebum-rebalancing, opacifying, anti-redness and anti-imperfections treatment for the face. It rebalances the excessive secretions of sebum, diminishes the presence of impurities, closes the pores and reduces shine. The matte complexion and healthy skin regains its freshness and radiance, the cutaneous ecosystem is strengthened. The healthy, matte skin regains freshness and radiance, the skin’s ecosystem is fortified. 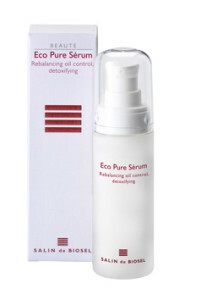 [post_excerpt] => Iceland moss-based serum for sebum-rebalancing and opacifying. [post_content] => Cream for a detoxifying and purifying treatment with Lavender and Savoy cabbage. Nigella seeds and Pumpkin promote the draining of free radicals and eliminate impurities; Cinnamon and Burdock reduce imperfections such as blemishes and impurities and soften the skin’s surface. Precious oligo elements, including Gold, calm irritations, restore a smooth and perfectly clean skin, strengthening the cutaneous ecosystem. The skin regains its balance, imperfections are less evident,  colour is more even, the healthy skin regains freshness and the ecosystem is fortified. [post_excerpt] => Detoxifying and purifying cream with Lavender, Savoy cabbage and Colloidal gold. 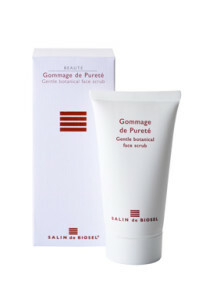 [post_content] => Lotion for a soothing, purifying and moisturizing treatment. It reduces the sensation of taught skin and diminishes redness through the interaction of the Biosequentielle plants: from the Ginseng root to Lavender flowers. It restores a clear and pure skin thanks to the beneficial draining and regenerating effects of the oligo-elements and the Dead Sea Salts. It repairs the micro-alterations and nourishes and moisturises thanks to the intense revitalising action of the hyaluronic acid. The cutaneous ecosystem gets stronger day by day, guaranteeing efficient protection from the noxious effects of atmospheric pollution. The healthier skin regains radiance and freshness. The constantly nourished, moisturises and revitalized skin regains intense radiance and freshness. the cutaneous ecosystem. And you? [post_content] => A rejuvenating, beautifying energy concentrate. The plants selected for this Bioséquentielle Formula  produce a calming effect to rapidly relieve the cutaneous stress responsible for cellular aging. The innovative toning, anti-aging compound with biotechnologically-derived hyaluronic acid provides an intense anti-wrinkle action. The naturally anti-oxidant solution has an incredible brightening effect. It soothes tension and firms the contours of the face, neck and décolleté. Smoothes wrinkles and expression lines, reshapes the oval of the face. The skin is visibly more youthful-looking. The double anti-stress and anti-age action visibly rejuvenates the skin. The distended features, reduced swelling around the eyes and smoothed wrinkles restore a rested, youthful face. [post_excerpt] => Anti-stress, anti-age, firming and brightening serum with hyaluronic acid for mature skins, face, eye surround, neck and décolleté. 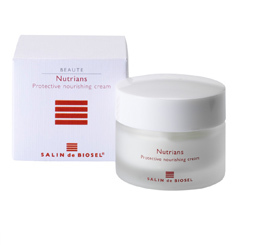 [post_content] => An intensive anti-age treatment cream for face, neck and décolleté. The Bioséquentielle Formula relieves tension and cutaneous stress with a deeply soothing, regenerating action. Algae and Avocado extract, rich in Omega 6, stimulate oxygenation to promote cell renewal and ensure refined, silky-smooth skin. A new compound of intensely moisturizing, toning plants and naturally derived hyaluronic acid provides a “filling” effect to visibly smooth wrinkles, restoring incredible youthfulness to the whole face and improving skin density right from the first application. A microcrystalline  and vitamin C synergy gives extraordinary luminosity and the face regains a fresh, radiant complexion. Skin stress is eased, the features of the visibly more rested face appear rejuvenated, the finer, silky skin underscores a fresh, radiant face. 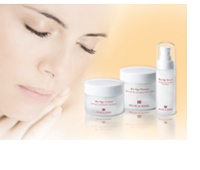 [post_excerpt] => anti-age, anti-wrinkle cream with hyaluronic acid and Omega 6 for mature. [post_content] => Cream mask for a super-nourishing, moisturizing, anti-age, anti-wrinkle treatment for face, eye area, neck and décolleté. Its Bioséquentielle Formula relieves tension and cutaneous stress, stimulates tissue regeneration and drainage, and deeply and thoroughly nourishes the skin. It effectively fights free radicals and stimulates the collagen for a soft, elastic, firm skin. The skin, nourished and moisturised by regenerating plant extracts and revitalizing vitamins, regains elasticity and softness. The smoothed features reveal a rested, more youthful face. [post_excerpt] => Maschera/crema iper-nutriente , idratante e anti età con vitamine. 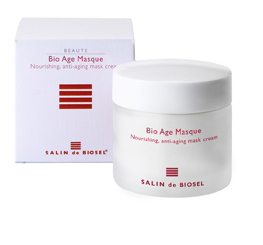 [post_content] => Cream with a highly nourishing, anti-age action for face, neck and décolleté in the early stages of ageing. Consisting of matrixyl and vegetable collagen to keep the skin compact and toned, an anti-age and anti-oxidant complex to smooth wrinkles and pisum sativum (garden pea) extract to contribute to improvement of the skin’s tone and elasticity, to promote a visibly lasting tensing effect. Its tensing effect restores pleasing tonicity to the skin, the sun filter protects and preserves the splendour of a healthy, vital skin. The more compact face is reshaped and the smoothed wrinkles restore a visibly more youthful look to the face. [post_excerpt] => anti-age cream with vegetable proteins to redenisfy and recompact the skin of the face and neck. [post_content] => A unique texture for an incredibly effective nourishing and lifting action for the eye surround. Intensely tones the skin’s surface, smoothes wrinkles and clarifies the skin in this sensitive and delicate area. Rich in emollient and protective properties, it combats and prevents wrinkles, reduces swelling, lightens dark eye circles and protects against sunlight. 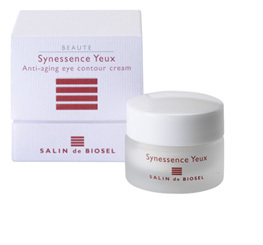 Synessence Yeux deeply nourishes the skin for a more youthful look to your eyes. The more compact  face is reshaped,  the neck regains its tone, the décolleté its uniform color and the  smoothed wrinkles restore visible youthfulness to the face. [post_content] => An unusual Bioséquentielle formula consisting of two leaf and root extracts with an intensely dynamism-enhancing effect on Yang energy and Yin anti-redness. An extract of seaweed rich in vitamins with an anti-age effect and vegetable protein with a reparative effect combined with a vegetable collagen-based tensing complex for compact, toned skin. Your skin will regain serenity and freshness. A purified skin will be noticeably more relaxed, radiant and compact and facial contours will be redefined. [post_excerpt] => Regenerating, revitalising lifting gel mask with burdock for the face, neck and décolleté. [desc] => Beauté à la Carte cosmetic recipe. 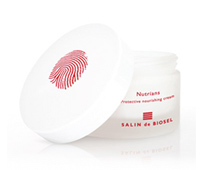 The beauty product with your finger-print. 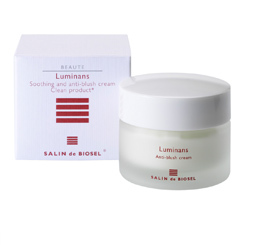 Diminishes widespread redness, soothes irritations. eliminates toxins and impurities; with whitening effect. revitalizes the skin, reduces wrinkles, with antimycotic effect, facilitates the slimming process and helps to eliminate cellulite. relieves muscular tension, regulates cells’ water retention, facilitates lymphatic draining, regulates energy distribution. 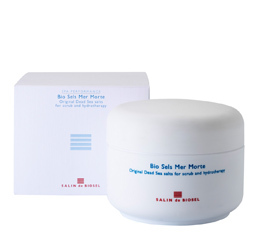 relieves tension, makes the skin’s stress go away, diminishes redness, regulates circulation. it is anti-allergenic, reduces stress, drains retentions, moisturizing; improves the conductibility of the nervous and energetic systems. encourages cellular regeneration, eliminates toxins and free-radicals, diminishes the skin’s sensitivity to allergies. Its anti-oxidant and anti-ageing properties help to prevent cellular ageing, eliminates free-radicals; helps to preserve skin elasticity. hydrates dry skin and greatly facilitates the reconstruction of tissue; firms up tissue, protects the vascular system. It restores balance to the nervous system; it nourishes and revitalises the skin and facilitates cellular oxygenation. Yin energy skin serum. Reduces the Yang energy responsible for skin redness, drains and firms the tissues. Yang energy skin serum. Vitalizes and dynamizes the skin, giving it warmth and luminosity. It has anti-ageing properties that rejuvenate skin cells. It has anti-oxidant and anti-ageing properties, fortifies the skin defences. Protection Function regulating serum. Reapairs micro-damage and strengthens the skin’s defences. Sensorial Function regulating serum. Relieves skin stress, dynamizes sensory receptor energy. Regeneration Function regulating serum. 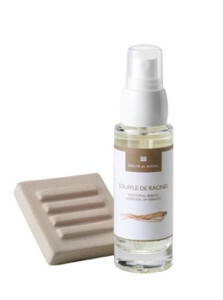 Vitalizes the skin, calms couperose and skin redness. Lymphatic Function regulating serum. Drains liquids, purifies and eliminates toxins. Skin Fibre structure Function regulating serum. Antioxidant, anti-age, anti-wrinkle action. [desc] => Wellbeing is an indispensible condition for a good psycho-physical balance for every human being. It is not always easy to free the mind of the stresses of the frenzied lives we are all  subjected to. The BIEN ETRE line has been designed especially to rediscover serenity of the spirit by re-establishing contact with the wonderful world of nature, stimulate the fantasy of the spirit with legends of far-off lands, let the imagination run free on the notes of enchanted melodies and be carried away by the scent of vegetation. [post_content] => Latte addolcente, fluido e morbido, nutriente ed idratante, composto da bio-estratti di Bambù delicatamente mi-scelati ad una preparazione composta da latte di Riso, olio di Mandorle dolci e olio d’Argan. Riccamente preparato con collagene vegetale e aminoacidi estratti dalle fibre di Soia, all’istante restituisce alla pelle un aspetto vitale e più giovane. [post_excerpt] => Latte anti-età, idratante, nutriente per il corpo. [post_content] => Nourishing oil rich in trace elements to keep the body youthful. Comprises a natural base of Rice and Sweet Almond oil with the addition of a selection of organic Bamboo extracts, rich in Silicon, to moisturize and revitalize the cutaneous tissues, restoring elasticity and a youthful look to the skin. 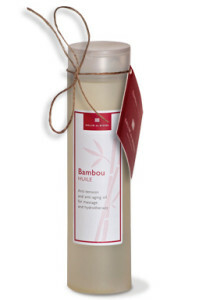 Applied directly to the skin with a light massage or with the original SALIN de BIOSEL bamboo canes. Its water soluble compsition means it can be used in bath water for an anti-age body bath. The oil will dissolve on the skin to provide new energy for the body. The re-vitalized skin will appear more radiant and youthful. The perfectly moisturized skin regains its elasticity and softness. [post_excerpt] => Body oil with bamboo bark and leaves. 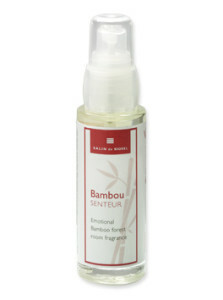 [post_content] => Spray this room fragrance with natural Bamboo aromas throughout your house. It quickly eliminates unpleasant smells and restores healthy freshness. It re-awakens olfactory energy and brings vitality and serenity to your spirit. 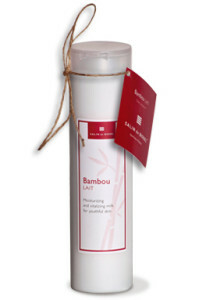 [post_excerpt] => Bamboo-scented room fragrance. [post_excerpt] => Latte di fiori energetici Yang. [post_excerpt] => Latte di foglie energetiche Yang. [post_excerpt] => Latte di cortecce energetiche Yin. [post_excerpt] => Latte di radici energetiche Yin. [post_content] => Candle with energetic flower extracts. Opens the spirit and re-awakens creativity. The ethereal fragrance of flowers, expression of the encounter between earth and sky, is a wonderful key that frees the spirit and creativity. It transmits joy, favours creative ideas and combats sadness. It is the fragrance of midday, its season is summer. [post_excerpt] => Candle with energetic flower extracts. [post_content] => Candle with energetic leaf extracts. Conviviality, openness towards others. Its ethereal fragrance opens the doors to communication and promotes relations with the outside world. Like luxuriant foliage with a thousand colours, it underscores all the positive nuances of the personality. It favours encounters, improves exchanges and lessens shyness. It is the fragrance of the morning; its season is spring. [post_excerpt] => Candle with energetic leaf extracts. [post_content] => Candle with energetic bark extracts. Fortifies the personality and concentrates vital energy. Its ethereal fragrance dynamizes energy flows, enveloping the skin like bark and protecting it from negative external energy. It facilitates physical contact, gathers together ideas and improves concentration. It is the fragrance of the afternoon; its season is autumn. [post_excerpt] => Candle with energetic bark extracts. [post_content] => Candle with energetic root extracts. Affirmation of the identity, reason and decision. Its ethereal fragrance replants the body’s roots in the earth and fortifies the personality. It ties us to our origins, to the starting point for all our reasoning; it is rationality, the mathematical calculation that allows us to plan and realize our projects. It is the strength of decision. It is the fragrance of the evening; its season is winter. [post_excerpt] => Candle with energetic root extracts. [post_content] => 100% bio-natural soap with Yang flower extracts. 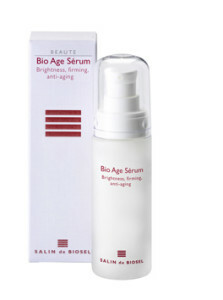 Anti-age, it gently cleanses the face and body and restores radiance to the skin. Comprising phyto-extracts of Yang energy flowers, it is particularly indicated for ageing skins with dark spots and sensitive to frequent washing. Rich in polyphenols, it is an energetic anti-age therapy par excellence. It cleanses gently and keeps the skin radiant. The ethereal fragrance of flowers, expression of the encounter between earth and sky, is a wonderful key that frees the spirit and creativity. The moisturized skin becomes smooth and soft, pigment blemishes gradually fade and the complexion acquires a uniform radiance. Vegetable cleansing base comprising natural cold-processed coconut oil and a synergy of flowers. [post_excerpt] => 100% bio-natural soap with Yang flower extracts. [post_content] => 100% bio-natural soap with Yang leaf extracts. Energy-dynamizing, gently cleanses face and body, restores vitality to the skin. Comprising phyto-extracts of Yang energy leaves, it is recommended for painful skins subject to water retention. Gently cleanses, rebalances acid pH, enhances energy circulation dynamism and lymphatic drainage. Its ethereal fragrance opens the doors to communication and promotes relations with the outside world. Like leaves of a thousand colours, it underscores all the positive traits of the personality. The skin is decongested as if drained, visibly lighter, nourished and vital. [post_excerpt] => 100% bio-natural soap with Yang leaf extracts. [post_content] => 100% bio-natural soap with Yin bark extracts. 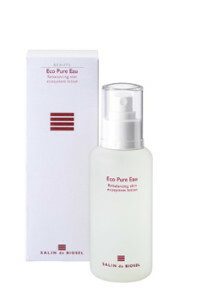 Skin purifier, deep-cleanses the face and body and rebalances the skin’s ecosystem. Comprising phyto-extracts of Yin energy bark, it is indicated for skins in contact with polluting agents which require frequent, deep cleansing. 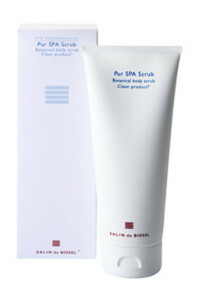 Lightly exfoliating, it renews the skin, protects its energy and fortifies its immunity. Its ethereal fragrance enhances energy flow dynamism and envelops the skin like a bark, protecting it from negative external energy. The renewed, softened skin is visibly more youthful and beautiful. 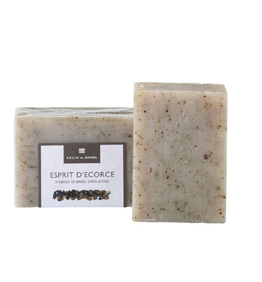 Vegetable cleansing base comprising natural cold-processed coconut oil and a synergy of bark. [post_excerpt] => 100% bio-natural soap with Yin bark extracts. [post_content] => 100% bio-natural soap with Yin root extracts. 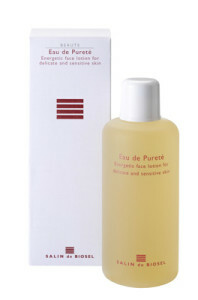 Anti-redness, it gently cleanses the face and body and calms irritation. Comprising phyto-extracts of Yin energy bark, it is particularly recommended for irritable, sensitive skins. It eliminates impurities from the deepest layers of the skin, and counteracts the Yang energy responsible for irritation and allergies. 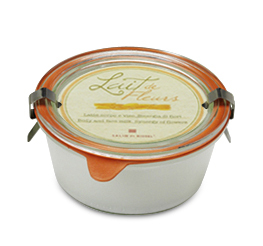 Its ethereal fragrance replants the body’s roots in the earth and fortifies the personality. Impurities are eliminated and the skin regains its freshness and radiance. [post_excerpt] => 100% bio-natural soap with Yin root extracts. [post_content] => Opens the spirit and re-awakens creativity. The ethereal fragrance of flowers, expression of the encounter between earth and sky, is a wonderful key that frees the spirit and creativity. It transmits joy, favours creative ideas and combats sadness. It is the fragrance of midday, its season is summer. [post_excerpt] => Opens the spirit and re-awakens creativity. [post_content] => Conviviality, openness towards others. Its ethereal fragrance opens the doors to communication and promotes relations with the outside world. Like luxuriant foliage with a thousand colours, it underscores all the positive nuances of the personality. It favours encounters, improves exchanges and lessens shyness. It is the fragrance of the morning; its season is spring. [post_excerpt] => Conviviality, openness towards others. [post_content] => Fortifies the personality and concentrates vital energy. Its ethereal fragrance dynamizes energy flows, enveloping the skin like bark and protecting it from negative external energy. It facilitates physical contact, gathers together ideas and improves concentration. It is the fragrance of the afternoon; its season is autumn. [post_excerpt] => Fortifies the personality and concentrates vital energy. [post_content] => Affirmation of the identity, reason and decision. It ties us to our origins, to the starting point for all our reasoning;  it is rationality, the mathematical calculation that allows us to plan and realize our projects. It is the strength of decision. It is the fragrance of the evening; its season is winter. [post_excerpt] => Affirmation of the identity, reason and decision. [desc] => Practice your favourite sport as a prerogative for the wellbeing of your body and a way to constantly improve your physical performance or to simply revitalise your body by caring for it with a rich application of essential plant extracts and thermal mud baths: this is the objective proposed to you by our SPA Performance line. It consists of energetic oils to be used for massage and hydrotherapy, Dead Sea salts, lotion, shower gel, scrub and balm. [post_content] => Relaxing Yin energy vegetable oil. Relieves physical stress and improves sleep. Firms tissues and promotes a toning, contour-reshaping action. It lowers excess heat, moisturises and softens the skin. It is used for body massage or diluted in bath water where it becomes an extraordinary nourishing milk. The rested body regains its fitness, the entire body is firmed, the skin more compact, the silhouette visibly re-shaped and the body regains dynamism and youthfulness. 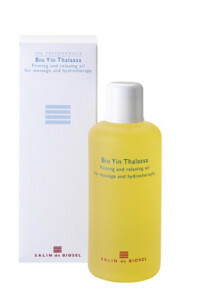 [post_excerpt] => Relaxing, anti-stress and firming Yin oil for massage and hydro-therapy. [post_content] => Yang energy vegetable Oil. Restores physical dynamism in cases of fatigue. 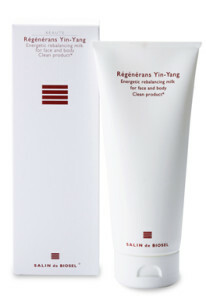 Regenerates and provides warmth, promotes a slimming action, moisturises and softens the skin. It is used for body massage or diluted in bath water where it becomes an extraordinary nourishing milk. Physical fitness is perfect, dynamism and vitality are the order of the day. The entire body is regenerated, ready to take on intense physical activity. The skin appears velvety, nourished and visibly healthier. [post_excerpt] => Dynamism-enhancing Yang energy oil, slimming and anti-cellulite, for massage and hydrotherapy. [post_content] => Neutral energy draining vegetable oil. 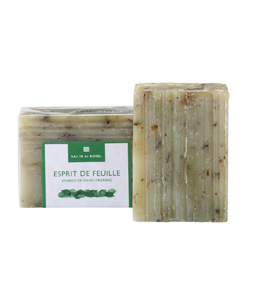 Relieves physical tension and improves liquid exchanges, moisturises and softens the skin. Eliminates toxins and free radicals, reduces swelling of feet and ankles, drain water retention from the legs and body for a fitter body. It is used for body massage or diluted in bath water where it becomes an extraordinary nourishing milk. The nourished skin becomes soft and velvety. Tension disappears and the perfectly drained feet and legs  feel light. The body is also lighter, agile and ready for new physical activities. [post_excerpt] => Draining, anti-tension neutral energy oil for massage and hydro-therapy. [post_content] => This magnesium chloride-rich salt is gathered ecologically after drying naturally on the shores of the Dead Sea and imported directly by BIOSEL to reach you in its pure, untreated state. Dissolved in bathwater or used for a massage, it relieves tension with an immediate anti-stress effect and favours sleep. It eliminates excess Yin and Yang energy and effectively diminishes the negative action of telluric energy on sleep. It drain water and cellulite retention and lightens heavy legs, feet and ankles. It relieves skin disorders and fortifies the natural defences. The Dead Sea in your own home for regained serenity after a bath with the Salts, or a body relieved of water retention and a soft, moisturized skin. [post_excerpt] => Draining, anti-stress magnesium  chloride salts for hydrotherapy and exfoliation. [post_content] => Ultra-softening gel with cinnamon and phytoplankton for the delicate cleansing of face and body. A clean product without chemical soap. 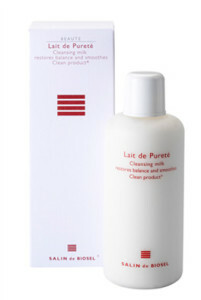 Cleanses very gently maintaining the physiological balance of the skin and fortifies its natural defences. Recommended for all skin types, especially the sensitive skin of children, in all cases of frequent washing, and after sport or swimming. Leaves the skin perfectly clean and fresh. Protected by the Spirulina, the skin is perfectly clean, fresh soft and perfumed with a special fragrance making it sensual and natural. [post_excerpt] => 100% vegetable shower gel for cleansing face, body and hair. [post_content] => Natural paste consisting of red seaweed and cinnamon bark for the exfoliating treatment of the body and the reawakening of skin energy. Deep-cleanses, eliminating dead cells and renewing the surface layers of the skin without altering its hydrolipid balance. The skin instantly regains all its softness and luminosity. Its use during sunbathing promotes the duration of the tan which is more golden and luminous. The epidermis is impregnated with a natural freshness which will make your skin especially sensual. [post_excerpt] => Anti-age, nourishing and moisturising exfoliating cream with Cinnamon bark. 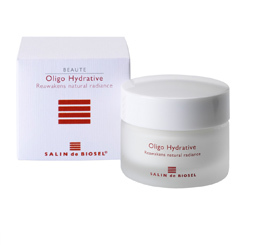 [post_content] => Balm for the highly nourishing treatment of very dry skins. Soya proteins rich in amino acids and almond oil vitamins nourishes and repairs the skin while its natural defences are fortified by Spirulina trace elements and amino acids. Aquatic Yin plant extracts have a revitalizing ant-age, firming effect. The properly nourished and protected skin immediately regains a youthful, velvety appearance and is visibly smoother and more sensual. [post_excerpt] => Highly nourishing and moisturising body balm with aquatic Yin plants for very dry skin. Rice milk for removing make up and perfectly cleansing the skin. Alcohol-free toner with Cucumber flower extract. Rice milk and Honey cream, fortifies the skin’s defences. Delicate gel scrub with aloe. dynamism-enhancing and revitalizing cream with Ginseng. Yin energy serum with Lemon Flowers and White Waterlily root. Revitalizing Yang energy serum with Cinnamon and Liquorice. Iceland moss-based serum for sebum-rebalancing and opacifying. Detoxifying and purifying cream with Lavender, Savoy cabbage and Colloidal gold. Anti-stress, anti-age, firming and brightening serum with hyaluronic acid for mature skins, face, eye surround, neck and décolleté. anti-age, anti-wrinkle cream with hyaluronic acid and Omega 6 for mature. Maschera/crema iper-nutriente , idratante e anti età con vitamine. 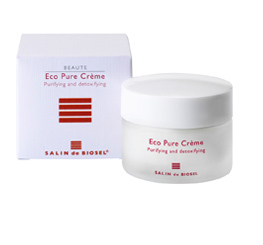 anti-age cream with vegetable proteins to redenisfy and recompact the skin of the face and neck. Regenerating, revitalising lifting gel mask with burdock for the face, neck and décolleté. Latte anti-età, idratante, nutriente per il corpo. Body oil with bamboo bark and leaves. Latte di fiori energetici Yang. Latte di foglie energetiche Yang. Latte di cortecce energetiche Yin. Latte di radici energetiche Yin. 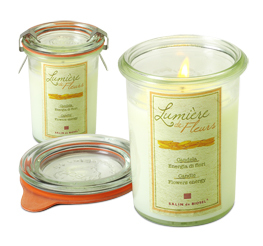 Candle with energetic flower extracts. Candle with energetic leaf extracts. Candle with energetic bark extracts. Candle with energetic root extracts. 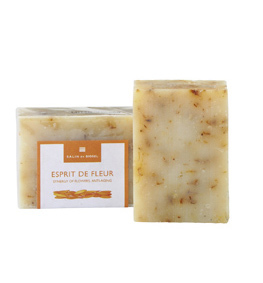 100% bio-natural soap with Yang flower extracts. 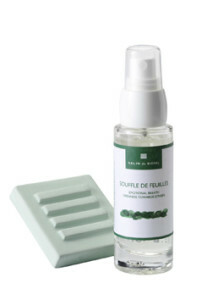 100% bio-natural soap with Yang leaf extracts. 100% bio-natural soap with Yin bark extracts. 100% bio-natural soap with Yin root extracts. Opens the spirit and re-awakens creativity. Fortifies the personality and concentrates vital energy. Affirmation of the identity, reason and decision. Relaxing, anti-stress and firming Yin oil for massage and hydro-therapy. 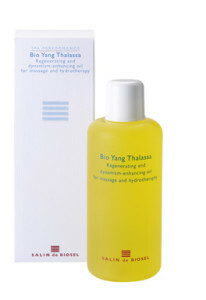 Dynamism-enhancing Yang energy oil, slimming and anti-cellulite, for massage and hydrotherapy. Draining, anti-tension neutral energy oil for massage and hydro-therapy. Draining, anti-stress magnesium chloride salts for hydrotherapy and exfoliation. 100% vegetable shower gel for cleansing face, body and hair. Anti-age, nourishing and moisturising exfoliating cream with Cinnamon bark. Highly nourishing and moisturising body balm with aquatic Yin plants for very dry skin.